I’m really excited to tell you that I went on a skiing trip last weekend! Maybe it’s because I am from the Netherlands where mountains are practically non-existent and snow is a rarity, but I to me few things are more magical than the idea of winter-sports. Sadly I had missed the trip organized by Ultuna’s UFFE (they organize great outdoors activities, go have a look on their facebook page) two weeks ago. But fortunately I heard about a friend going this weekend with the buddy program of Upppsala University’s international students. The weather forecast was absolutely fabulous and I was lucky to get hold on one of the last spots in the bus. Sun! Snow! Mountains! What else can you wish for? If you think of Sweden you might not immediately think of skiing and snowboarding. However, there are plenty of opportunities for these amazing sports here and further up North. 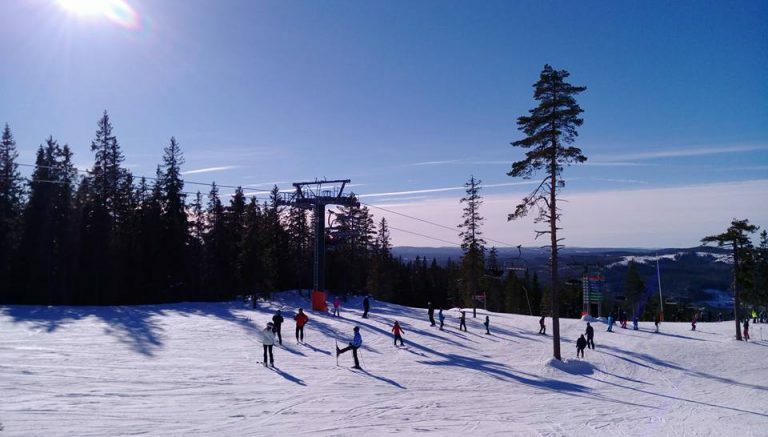 Many Swedes go on skiing holidays or have grown up skiing. Cross-country skiing, where you move over flat areas, is very popular even around Uppsala (for example at Håga and Fjällnora). But if you want to do slope skiing you’ll have to look for some higher places to go. I got extremely excited when I found out the nearest alpine centre is only two hours and fifteen minutes away. For example the one I went to – Romme Alpine – offers a bus service straight from Uppsala to the ski resort. As everything in Sweden, this is highly organized and by ordering your rental equipment online beforehand, you save time upon arrival. The skiing area was larger than I expected. There are two main peaks from which tracks of ‘all colours’ can be taken to go down. Green for ultimate beginners, blue for beginners, red is medium and black advanced. And if you’ve never been on skis or snowboard before, there is a try out area close to the rental and even a ski school. To me the green tracks were great fun and the blue ones some harder work. But I think it’s amazing there were this many possibilities. Me and my friends would take the same ski-lift up, and then chose different tracks to the same end point to meet again. It’s already almost the end of February. Crazy how the time seems to fly by. Also, it means that we’re more than halfway with the housing course. I’ve told you about a couple of excursions(to Jälla and Lövsta) we’ve done for this course so far, but this time I’d like to give you some insight into another aspect of the course. No cute pictures of piglets any longer! Last week we had a so-called workshop in mechanical ventilation. Torsten Hörndahl came over all the way from SLU Alnarp (close to Lund) to learn us the ins and outs of ventilation of farm buildings. A serious afternoon of hard work. We started with a lecture on mechanical ventilation. First of all we discussed why do we ventilate? 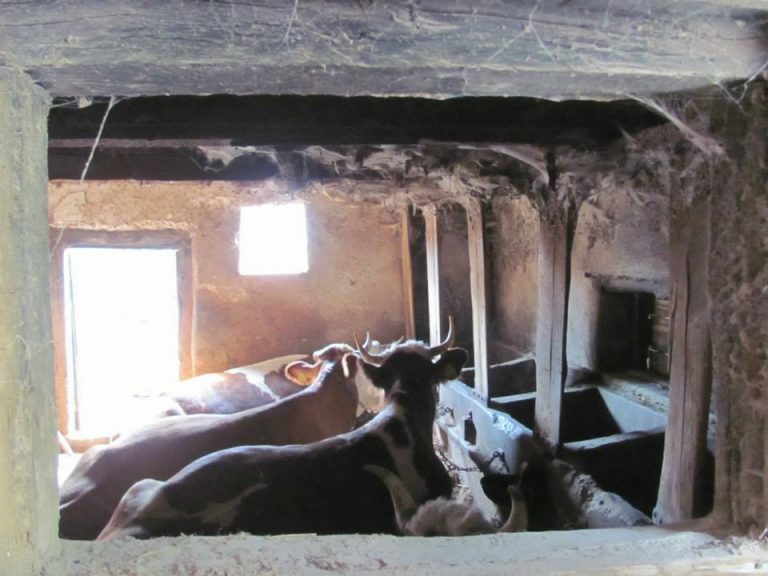 Besides guaranteeing fresh air to every animal, ventilation plays an important role in keeping temperature and humidity within the limits of both good animal welfare and good human comfort. Not in all cases ventilation has to be mechanical, depending on the type of building and amount of animals, natural ventilation may be sufficient. When using mechanical ventilation, it’s important to realize whether you’ll design a system with or without a pressure difference between inside and outside the building. Both have their pros and cons regarding efficiency, safety and costs. After listening for a couple of hours the workshop took place. We were divided into groups and given several documents we were going to work with. Not only was our understanding of the theory tested, we were challenged to make calculations as well. I must admit it was a long day and the tasks were not easy. However in the end I think we did get the hang of it and i’d say we learned a lot more by doing the actual calculations and answering questions rather than just listening. Guaranteed that next time when walking into a stable, you’ll look at all those air out- and inlets in a different way! On the Western side of Uppsala, close to the Flogsta neighbourhood lays a beautiful nature reserve. 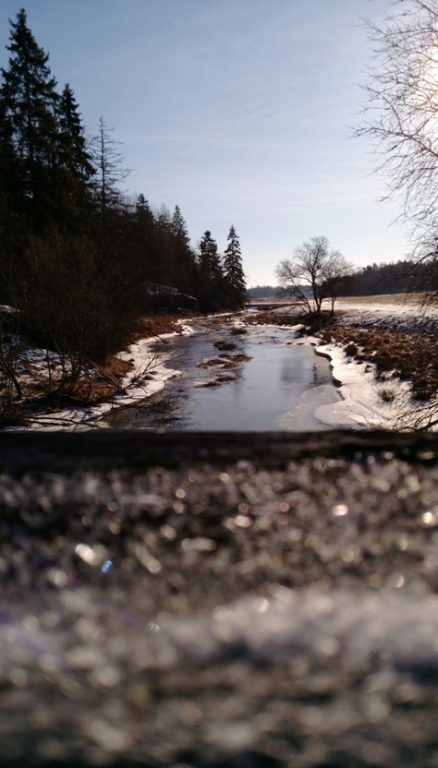 This area is called Hågadalen and consists of forests, swamps and a more open valley area around the Håga river. It’s a popular place for a hike, bike, run or horse-ride alike. Personally I am very impressed by such a beautiful and peaceful place being this close to town. During the welcoming weeks, one of the most popular activities is our ‘Let’s go to the forest!’ adventure, at which we show this wonderful piece of Uppsala county to the new students. 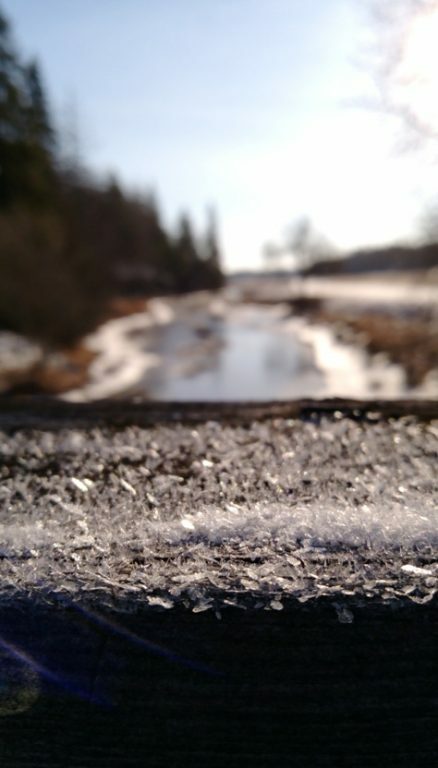 Winter scenery at the Hågaån (= Håga river) on a sunny Sunday last week. Not only is Håga stunning for it’s nature, it’s also impressive for it’s cultural value. For example there is the viking grave of the mythical King Björn, which takes shape in the form of a burial mound. From here you have quite a great view over the area as well. Though this is the most famous burial mound of the area, several more graves can be found more upstream. The fertile valley area around the river is known to have been used for pastoral purposes for thousands of years. The Uppsala municipality has published a really nice leaflet about the place, which you can find on their webpage. GAP21 stands for ‘Global Animal Production in the 21 Century‘. No animal production system is perfect. Each culture has their own traditions regarding animal husbandry. Every country faces their own challenges. Let me show you what I have seen and learned thus far: One photo at a time. 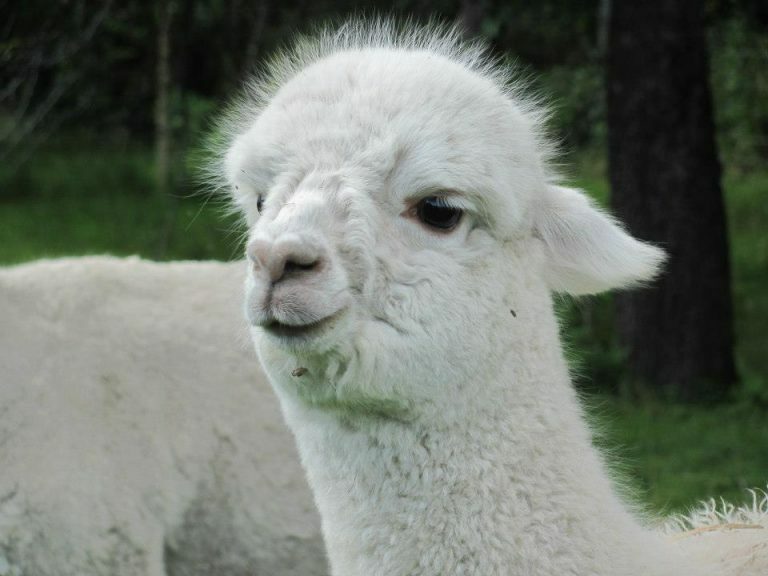 picture is a young alpaca, housed in a small flock on a mixed farm in Norway. Included in the course Animal environment, welfare and housing are several excursions. 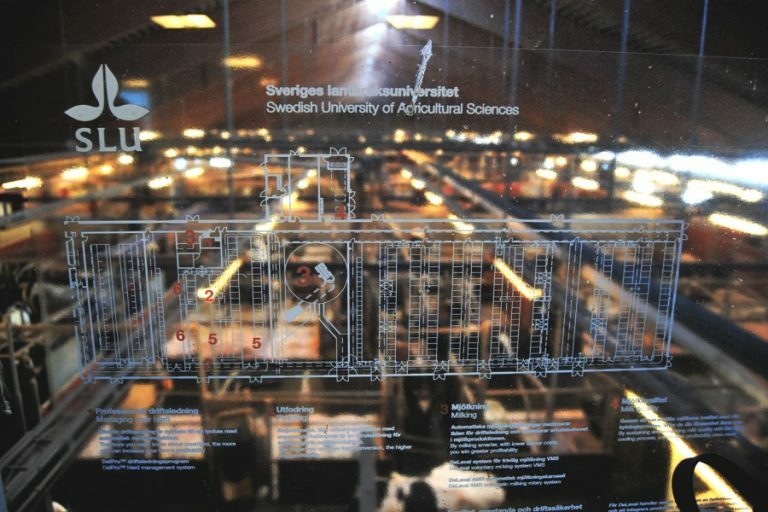 This week we spent a day at the pig and cattle facilities of SLU’s main research centre: Lövsta. There is a lot of information about Lövsta available on the SLU webpage, please have a look if you’re interested. 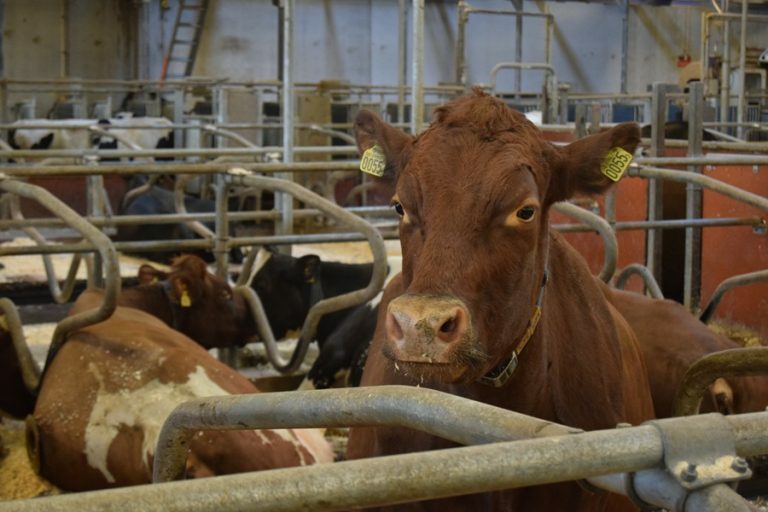 The nice thing about Lövsta is that everything is modern, there are lots of opportunities to researchers and all different types of livestock are located in close approximation to each other. The downside of Lövsta is that it’s very costly to the University and the location is very hard to reach for those without a car. Luckily this excursion was well organized and transportation was included. from where visitors have a good overview on the different housing types. The day started with an introductory lecture at the research centre. Though it was not the first time for me to visit Lövsta, it was an interesting lecture in which I heard a lot of new things. It was explained how the several parts of the stables function and what problems are faced. And it was fascinating to hear all about the ongoing research. 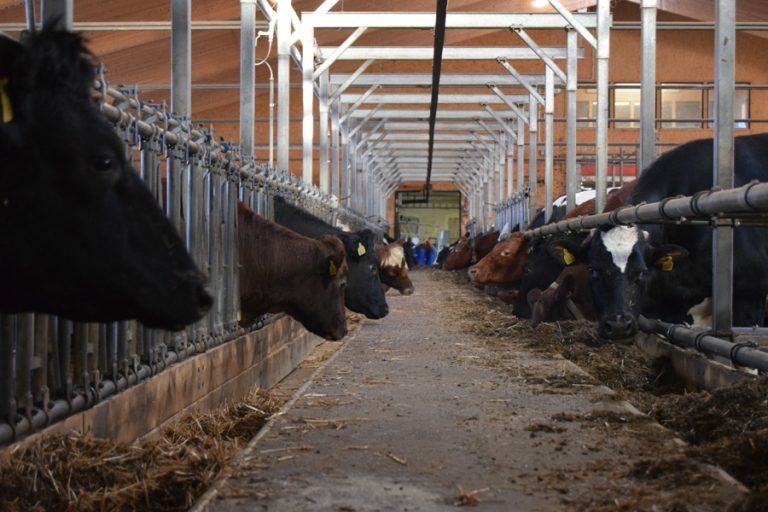 For example right now they are experimenting with different types of floor scrapers for the dairy cattle. Which one is disturbing the cows the least? 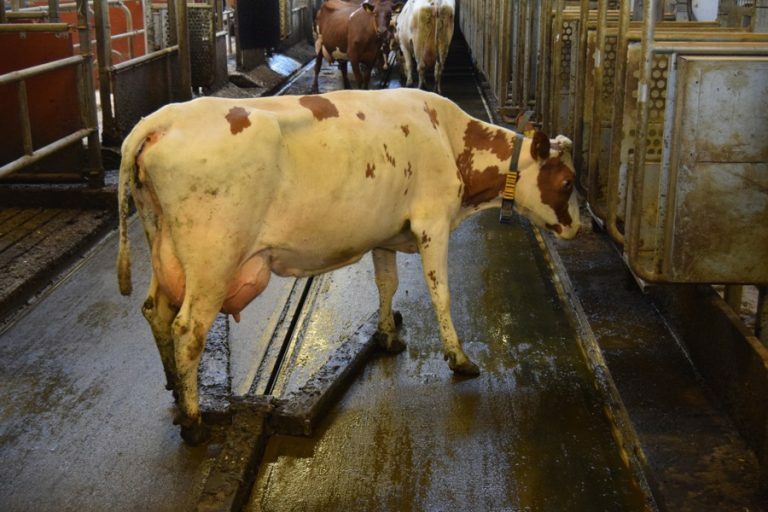 Another experiment looked at the importance of the neck rail and whether it could be moved or removed to increase cow comfort. Upper left: A cow stepping over a floor scraper. 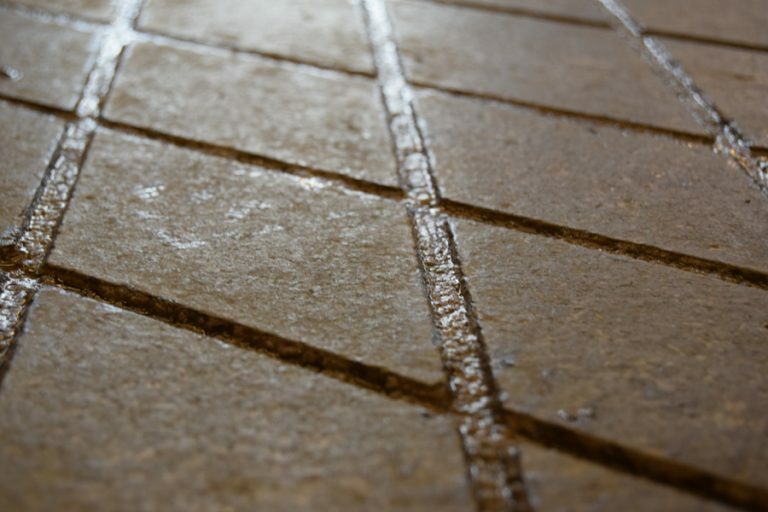 Upper right: This flooring reduces slippery, but what about hygiene? Below: The Swedish red cow breed has a reputation of being more robust and fertile compared to Holstein-Frisians. Half of the day was spent with the cattle, the other half was spent with the pigs. It’s not that I don’t like cows, but I just… adore pigs. Big time. They are such curious, social and smart creatures. At the pig stables we used most time to compare the different housing systems, the building constructions, space availability, ventilation, manure system, etc. 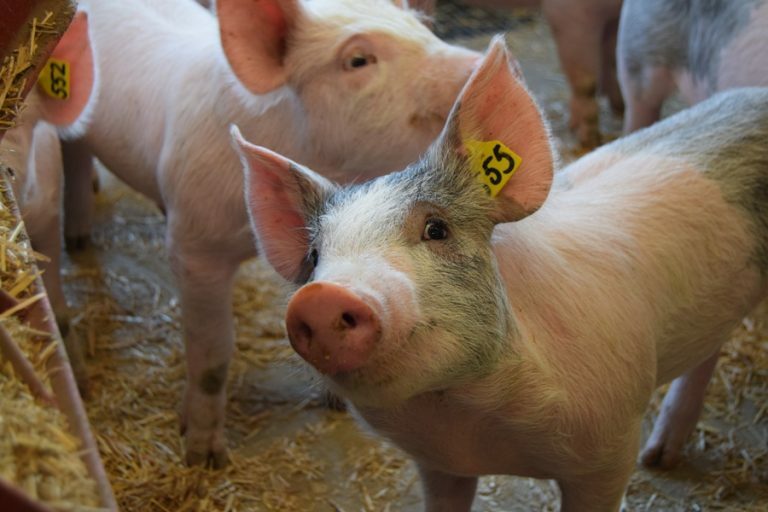 In Sweden pig welfare is by far more protected by law compared to other EU countries. 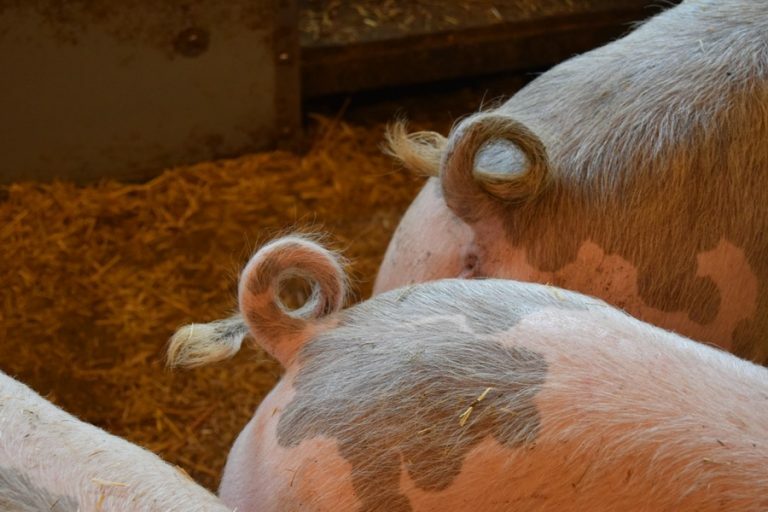 For example the provision of straw is obligatory and tail docking is not a standard procedure. Another large difference is the housing system of lactating sows – crating is not permitted. 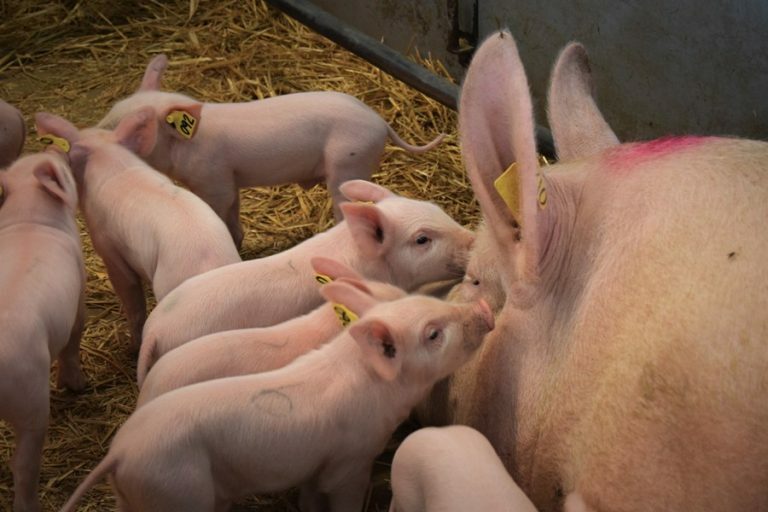 Therefore the sow can have much more interaction with her piglets, which is a beautiful sight to watch. Still, it’s not perfect, but in terms of welfare the standards of conventional pig production in Sweden are impressive. Upper left: Deep litter bedding for dry sows. Upper right: Intact tails of growers. 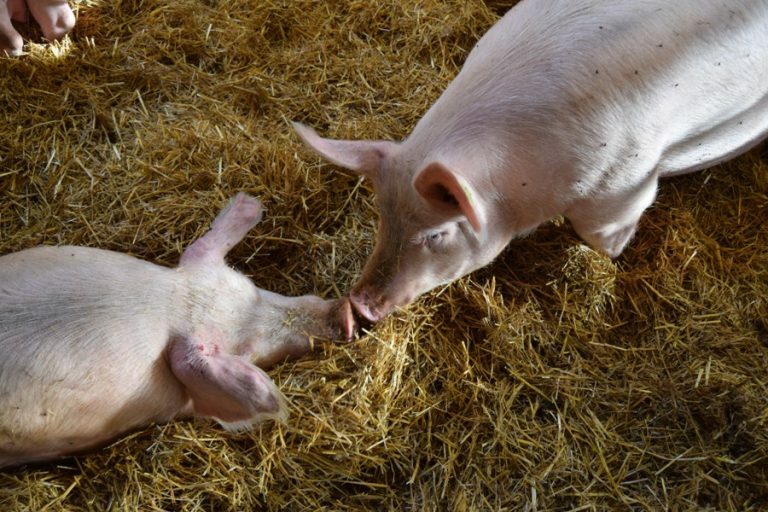 Below: Interactiong between the lactating sow and her offspring. Crating or not crating of sows is a much debated topic, on which I could elaborate for many pages. I think Swedish pig production deserves a post of it’s own, perhaps I can do that next week. If you have questions already or some comments, you’re welcome to reply below. ps. Just one more pig photo, I mean, aren’t they adorable? been done seem to point towards such a finding… Try to keep an open mind, always. For the course Animal environment, welfare and housing we went on a short trip to Jälla, an agricultural school just East of Uppsala. The aim of the excursion was to aquire on-site information about animal environments on a Swedish farm. 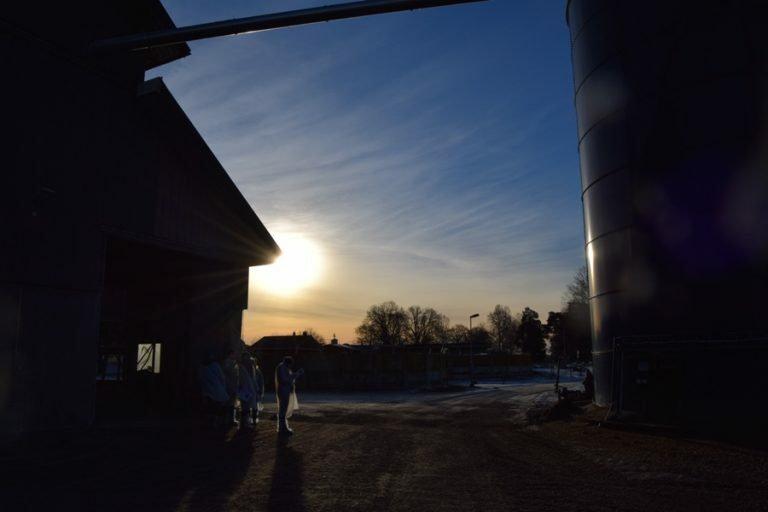 As Jälla is an agricultural learning environment, many types of animal farming are represented. After a short introduction we were divided into groups and had received a list of questions we were supposed to answer by the end of the day. We received a small map of the grounds and were supposed to pass by eight ‘stations’ where we should be able to figure out the answers. Everybody seemed very excited and soon we had all spread out over the farm. Inspecting the different ‘stations’ on a cold, sunny day in January. The stations we visited were a traditional tie-stall barn, the manure handling system, a modern loose housing cow barn, the feed storage, roof structures, the horse stable and a sheep barn. Some questions were specific for the stables you were standing in, like ‘How do you regulate the temperature in this building?’. Others were more considering the farm as a whole system, for example we were supposed to figure out how feed distribution took place over the whole farm. As this course has a strong focus on housing and environment we had several questions regarding ventilation and heat regulation. 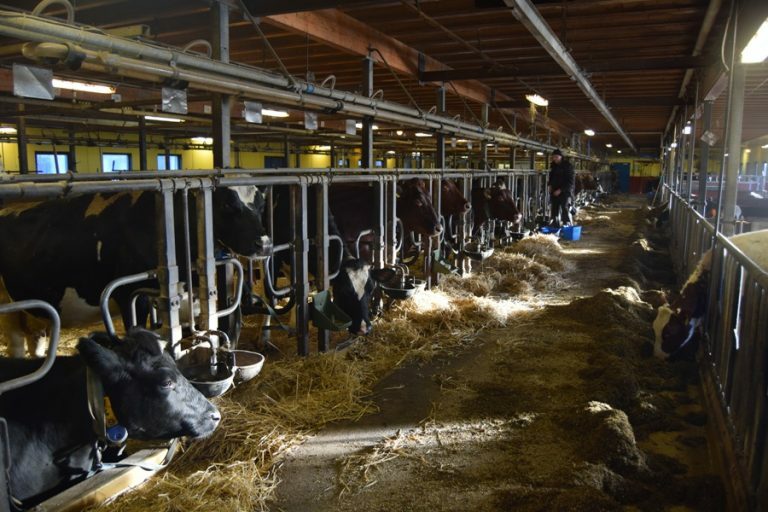 And as Jälla has automized systems for both manure and feed handling and it was interesting to look at the pros and cons of such technical equipment. 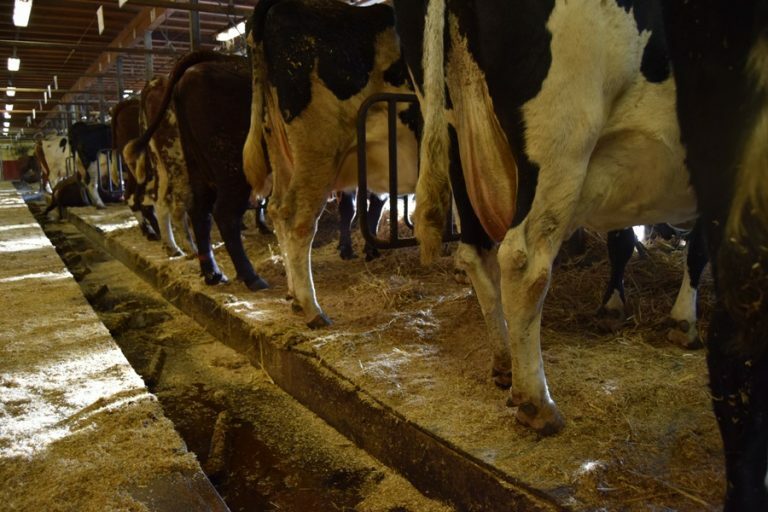 Automatic feeding systems in the tie-stall barn (left) and the loose housing system (right). What interested me most was comparing the tie-stall barn and the loose housing cow barn. I had never seen tie-stall barns in the Netherlands, but in Sweden it is not that uncommon. It used to be the standard many years ago, but nowadays it’s being faded out slowly – building new tie-stalls is not allowed any longer. 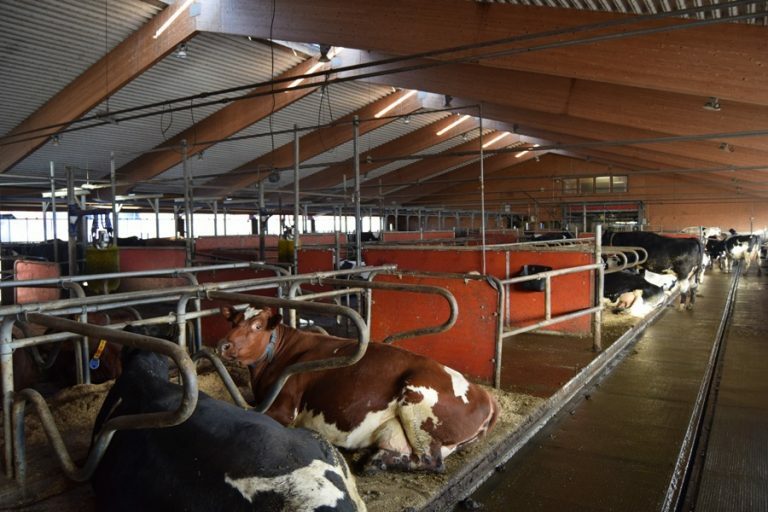 Still, about 30% of the Swedish dairy herd is still housed in tie-stall barns. To me it just feels wrong to tie a cow up for practically most of her life, but this system has quite some advantages. You need less space, cows have always access to a free lying place, but most of all the hygiene is much better. Seeing the tie-stall barn in real life did however not change the way I feel about it. Some of the cows had some small lesions on the hind legs, probably due to reduced locomotion. And as we’ve bred for bigger and bigger cows, we had the impression that the old stalls had become a bit too short for the ‘modern cows’ to lay down comfortably. Two types of automatic manure handling in the tie-stall (left) and loose housing barn (right). In the week after we had a follow-up on the farm visit in which we discussed the questions. It was really interesting to hear what the different groups had noticed – together you see much more! It was definitely a positive experience and I am grateful that SLU gives us the opportunity to see what the theories we learn about look like in practice. Any questions? Comments? Leave a reply below.